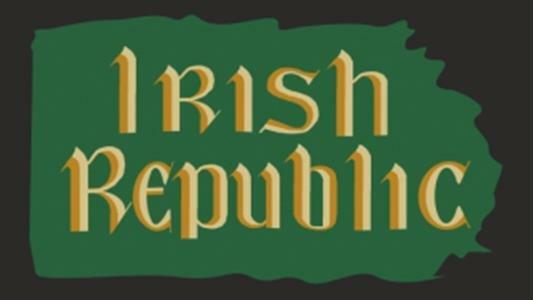 Seton Hall University is hosting a one-day conference in honor of the centenary of the Easter Rising (Éirí Amach na Cásca) which signified a major milestone in the history of Irish independence. 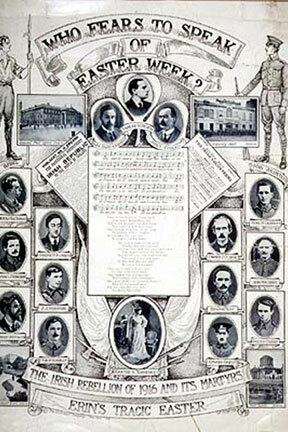 Panelists will explore the history, personalities, music, art, and theatre that defined this pivotal event in the Irish experience, and its impact worldwide. Speakers include historian Lorcan Collins, author of Easter 1916 and 1916 The Rising Handbook, who will give the keynote, prize-winning Irish poet Micheal O’Siadhail, and other noted experts in the field. The program will conclude with a performance of excerpts from Sean O’Casey’s The Plough and the Stars by Professor Daniel Yates and troupe of Seton Hall student performers prior to a day ending reception. This event will take place on Friday, October 21st starting at 8:30 a.m. at the Chancellor’s Suite, Student Center on the campus of Seton Hall University. For more information about the conference, schedule, and other details please consult the research guide below. For additional information about educational resources related to the Easter Rising and Irish History found at Seton Hall University please consult the following Research Guide for more information. Admission is Free of Charge. For More Information and to Pre-Register Contact: Alan Delozier, University Archivist at alan.delozier@shu.edu or (973) 275-2378.